Audiences don’t grade movies on degree of difficulty. 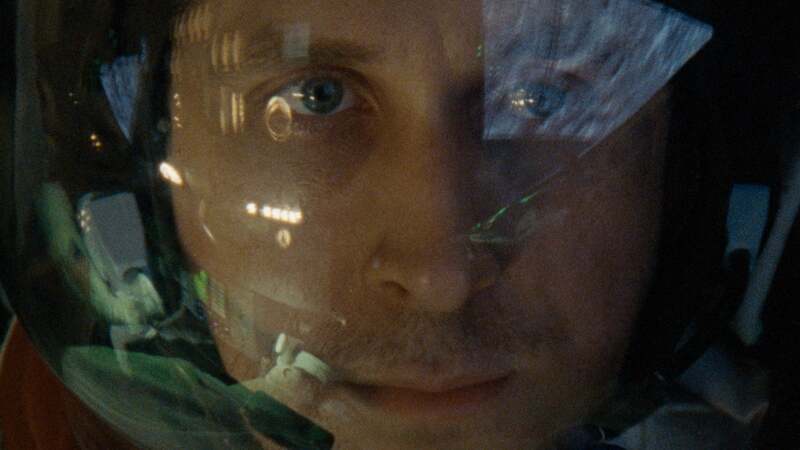 Academy voters do, and they will recognize that “First Man” is a cinematic feat. Back in 2014, after he made “Whiplash,” Chazelle collaborated with screenwriter Josh Singer, impressed by his work on Julian Assange film “The Fifth Estate” (his Oscar for “Spotlight” came later). Chazelle wanted to show on film what it took for astronaut Neil Armstrong to land on the moon. What Singer discovered in NASA-wonk James Hansen’s tech-heavy biography blew his mind. After filling his brain with details about test pilots and NASA’s technological race with the Soviets to the lunar surface, Singer identified four dramatic pillars of Armstrong’s life: his young daughter Karen’s death; his family anchor, wife Janet (“The Crown” Emmy-winner Claire Foy); the Gemini docking mission; and the moon landing. Chazelle and Singer took their pitch to Universal, and as Chazelle made “La La Land,” Singer got to work. Armstrong was a straight-arrow engineer and pilot, private and taciturn, a contained man of few words and little emotion, and Gosling plays him that way. So the filmmakers start out with a reenactment of an intense X-15 flight — one of three in which Armstrong faced serious flight issues while his daughter was dying. His bosses did not recommend him to become a Gemini astronaut. He volunteered after her death and threw himself back into work. At his daughter’s wake, Armstrong shutters himself in his study for a private cry. In his research, Gosling came up with a few colorful things to enliven his character, including an inspiring speech Armstrong gives at his NASA job interview about the rationale for space exploration: to get a shift in perspective on our planet. He also found one of the few laughs in the movie, when his chums find out about Armstrong’s entertaining college rewrite of Gilbert & Sullivan. The filmmakers decided that the key to Neil was Janet. “She was going to be his emotional center,” said Singer. “It’s the story of marriage that suffers blow after and blow and still the marriage manages to survive.” (While their two sons were helpful to the film, both Armstrong and his wife, who finally divorced him in 1994, have passed away.) Chazelle shoots the daringly quiet and domestic life in suburban Houston in claustrophobic close-up. He gave the actors two weeks of rehearsal and shot some of their improvisation on the fully built home sets. “At home, you had the press around you and death nipping at your heels,” said Singer. Since the film debuted at Venice and played other fall festivals, both sides of the political divide read what they want into “First Man.” For their part, the filmmakers tried to root the narrative firmly in its time, when white men drove the political conversation and the moon mission was far from popular, as protestors challenged NASA’s use of taxpayer dollars.